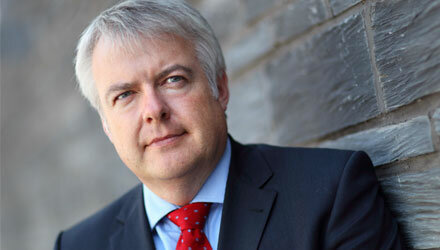 Carwyn Jones was recently sworn in as the First Minister for Wales, after his party (Welsh Labour) had successfully become the largest party within the chamber. However, Welsh Labour fell just short of an overall majority (one seat) and is now attempting to govern alone at this time. The concept of a possible coalition in the future will most likely be between the Welsh Liberal Democrats or Plaid Cymru. The latter being the more likely of the two, due to the current unpopularity of the Liberal Democrats as seen by their vote share across the UK decrease significantly. Jones stated in his speech after being nominated and selected as First Minister, that it would be a Labour government working in consensus with other parties on policy areas that they agree on. The voting results in Wales had seen Labour gain seats, including their heartland seat of Blaenau Gwent which was taken from Trish Law (Independent), beating Helen Mary Jones (Plaid Cymru and deputy Plaid leader). Cardiff North which had been the seat of the potential Conservative leader was gained by Labour, while the normally safe Liberal Democrat seat of Cardiff Central (with a high student population) had seen the majority of 6565 overturned and provided Labour with a majority of 38 for the seat. Even though Welsh Labour had made a number of gains they were cut short of the magic number (31) in which they were one short of an overall majority. However, it must be noted that while the national media had concentrated on the losses of the Liberal Democrats, not much had been mentioned on the losses of Plaid Cymru. Plaid had lost four seats overall and had watched its coalition party, like the Lib Dems on the UK, gain in seats across the region. Plaid Cymru has admitted their loss was mainly due to their negative campaigning against Welsh Labour which had put them against the popular movement. The Conservatives made gains in Wales but lost their party leader (Nick Bourne) due to the nature of the top up system. They found success in the constituencies but lost one in the regional list. While the Liberal Democrats had seen their constituency deposits in South Wales disappear, they like in the rest of the UK, had a really bad night; the on-goings of the London coalition obviously not helping. The new government will have the ability to create Welsh only laws within the 20 devolved areas already assigned to it. This will lead to a new era in Wales and it will be highly interesting to see what innovative ideas the Labour led Assembly Government will bring forth. One law that will be brought forward is the dropped LCO from the last Assembly term; this law will change the way organs are collected by switching the opt in situation as seen at the moment to an opt out system. The next few weeks shall show what the new Welsh government has in store for the future in Wales, as well as testing the water in terms of the exciting new law making powers now granted to the Assembly. In conclusion, Wales has seen the Welsh Labour Party become the party with the most seats, while on the other hand Plaid Cymru are taking time licking their wounds and considering how best to establish themselves . The Liberal Democrats performed badly across Wales with many losing their deposits. Welsh Labour had indeed gained a small number of seats (26 to 30) but still fell short of the 31 target for an overall majority. Law making powers for this new Assembly to utilise should hopefully prove to be interesting to oversee.